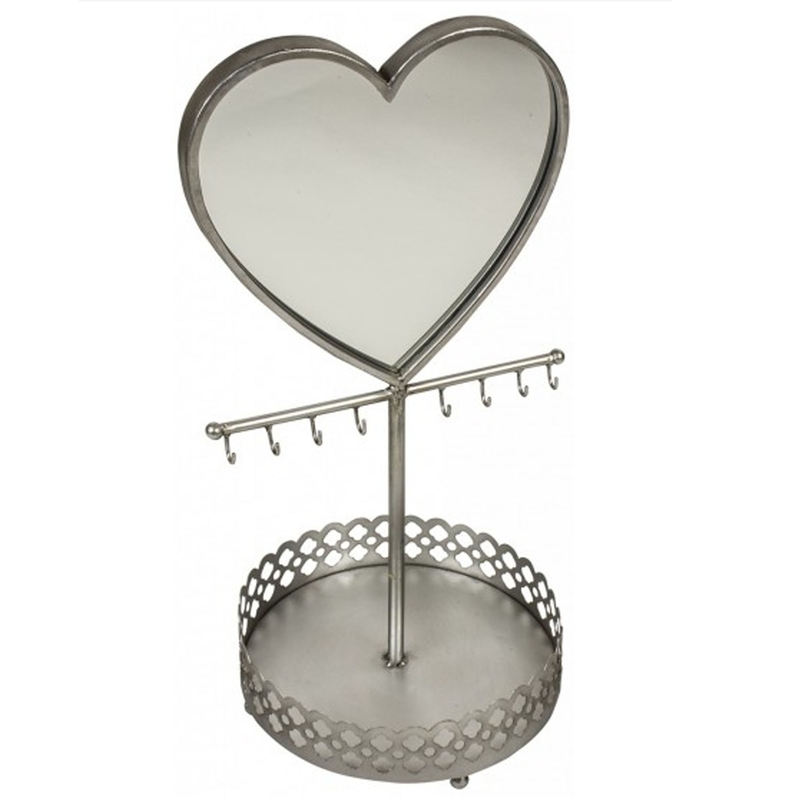 This is an absolutely beautiful mirror with a heart shape. It also has 2 methods of holding jewellery, it has a little stand where you can place jewellery or eight hooks to which you can hang pieces of jewellery on. It's also got a beautiful silver colour to add to it's modern style, it's both gorgeous and practical making it a brilliant addition to any home.